Next-generation network architectures aim at the convergence of services (e.g. telephony, television, Web access, online games, and new services) over a common IP core. Additionally, the integration of wired and wireless access technologies will offer users ubiquitous access to all those services. Telecommunications networks rely on signalling protocols to perform key service control functions such as locating and authenticating users, establishing communication sessions, reserving resources, charging, etc. Signalling is crucial for network operators and so requires a transport service with very high availability and low delay. Traditionally, operators have deployed dedicated and highly redundant signalling networks following ITU-T standards. More recently, and motivated by the current evolution towards IP, the IETF has defined SIGTRAN, a new protocol suite intended to transport signalling protocols over IP. 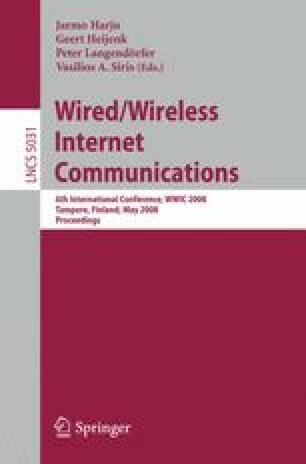 This paper addresses the problem of configuring the protocol mechanisms existing at different layers of the SIGTRAN architecture in a coordinated way, with the goal of creating a redundant network topology able to meet the stringent availability levels required for signalling in carrier-grade networks. The proposed solution is described and evaluated numerically.